If you’ve spent any time Uptown or in South End recently, you’ve certainly seen them — rows of brightly colored bikes parked seemingly at random on the sidewalk. 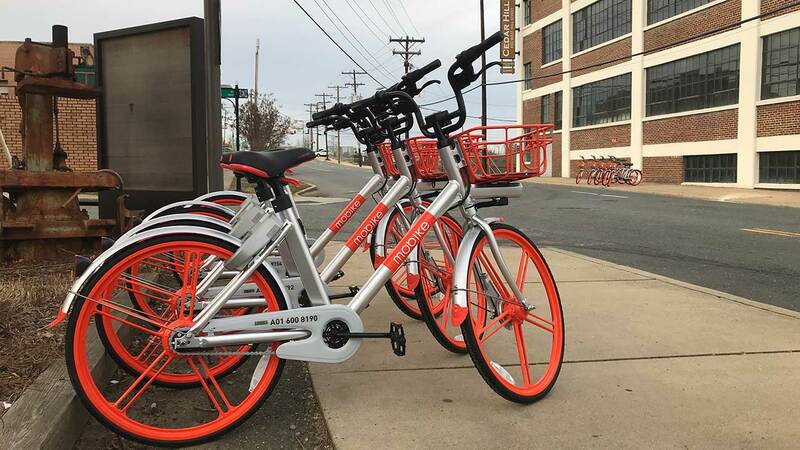 Three companies — LimeBike (green), Spin (orange) and Mobike (silver and red) — have launched dockless bike-sharing programs in Charlotte in the last few months. Another company, Ofo, will be bringing its yellow bikes to our streets any day now. These companies let people rent bikes by the hour using a smartphone, and simply leave them behind when they’re done. The wave started as a neat, urban, green experiment. But things are now getting out of hand. Soon there could be as many as 2,000 of these bikes in Charlotte — and people are starting to rebel. 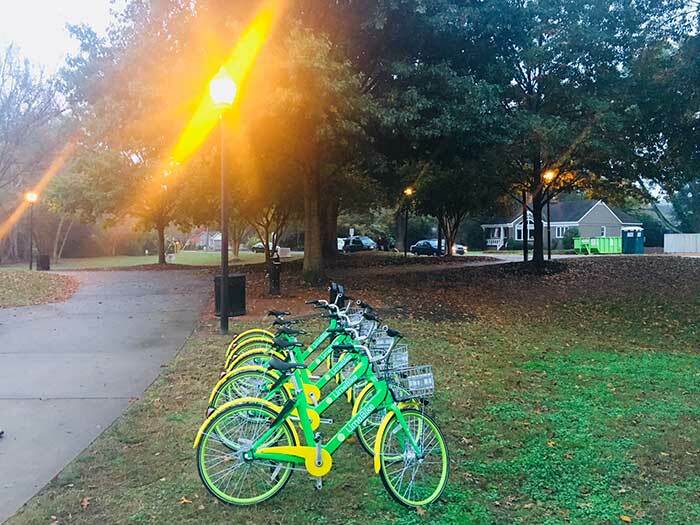 As more bike-share companies pour in, Charlotteans are beginning to complain that they amount to litter. A hilarious series of photos on local photographer Logan Cyrus’s Instagram feed show bikes sunken on the bottom of Freedom Park pond, abandoned in parking lots or hitched to fire hydrants. Here’s the bad news, folks: We’re probably stuck with these bikes for most of the year. The bikes are the result of a city of Charlotte pilot program that started in October. The program allows companies to get a permit to distribute up to 500 bikes on Charlotte streets for a year. 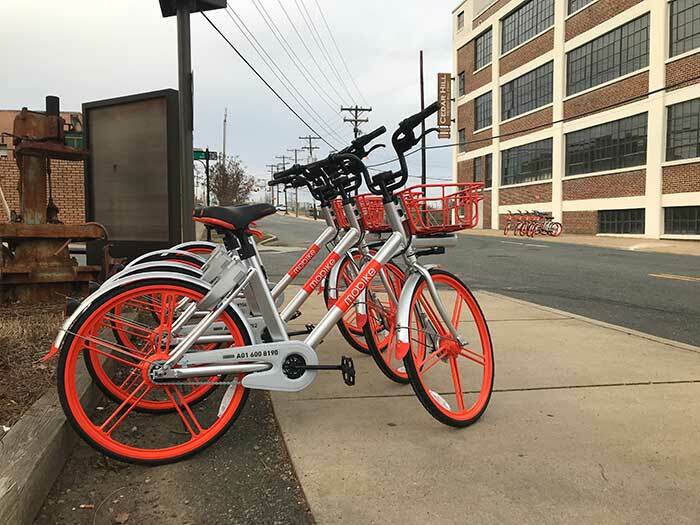 In October, the Charlotte Department of Transportation will take a look at how things went and recommend ordinances to the City Council that could allow multiple companies to continue the dockless bike sharing programs. Companies are required to have between 200 and 500 bikes. Bikes must be parked in the pedestrian area of public right of way (i.e. sidewalks) or at a city-owned bicycle rack. Each company is also supposed to provide a contact to the city who can stand fallen bikes back up or move bikes that weren’t parked properly. Parked bikes are not supposed to reduce the available sidewalk to less than 6 feet. Bikes can’t sit in one spot for more than seven days without being moved. It’s unclear whether city inspectors are out there with measuring tape making sure the rules are being followed, though the city says it is tracking complaints coming via 311 and social media. Reports have come in on Twitter that bikes have been spotted blocking bus stops, on private property and jamming up popular bike racks. There is one caveat: The city has the ability to revoke permits at any time and require the bikes to be removed within 30 days. We might be getting to that point. Charlotte Department of Transportation officials did not respond to questions from Agenda. See a bike in the wrong place? Here are the numbers to call. 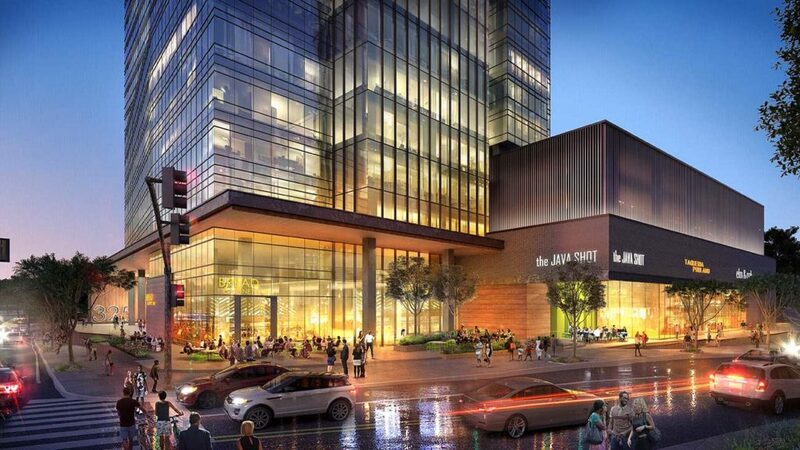 Will developers face opposition to this 290-foot office tower in Cherry?